I didn’t start writing creatively until I retired. I did a lot of journalism/statistical report writing at work, so thinking about any other writing was just a passing interest. After I retired, I moved from Detroit to Mobile, and about in 2005, I took a writing class at the University of South Alabama and actually wrote the first seven pages of CHOOSING CARTER. I had three short stories published in anthologies in 2008; however, my first published novel is DEADLY STAR, another contemporary romantic suspense released by Crimson Romance in 2013. A strong, common-sense female protagonist is a big draw for me. I love to read mysteries/suspense, action/adventure, and behind-closed-doors romance so that’s what I write. I also enjoy historical books, real and fictional. CHOOSING CARTER incorporates the suspense, action/adventure, and behind-closed-doors romance that I love to read. It’s about a woman pursuing the man she loves while attempting to save her brother from another of his poor life choices—he’s become a terrorist whose target is their small Colorado town. It’s kind of a mash-up of “love will find a way” and “my brother’s keeper,” and her fear is that someone she loves will die. Today’s headlines about the threat of homegrown terrorists. That’s a hard question. I don’t “see” my characters that way. Let me think about that. Okay, let’s say Nicole Kidman for Bryn McKay and Brad Pitt (ala “A River Runs Through It”) for Carter Danielson. Without a doubt, that’s Charlotte Brontë’s JANE EYRE. Neither of the characters is perfect…not in features and not for each other. They are deeply flawed; yet, they make it through somehow. It’s the ultimate romance story. The last book I read was the Pulitzer Prize-winning “All the Light We Cannot See” by Anthony Doerr. It’s historical fiction and about as far away from a romance story as you can get. Though it’s a harsh and realistic depiction of a brutal time, the characters and the scenes are exquisitely drawn. As a writer, I would recommend it. I have a 12x13 home office that I share with my photographer son. He works on the Mac, I work on the PC. My dream writing location would be the same place, just twice as large. CHOOSING CARTER incorporates bits and pieces of two of my personal adventures. I once challenged myself to do a 5-1/2 day Outward Bound white-water rafting trip in Colorado even though I am terrified of water and never learned to swim. (I took lessons before the trip but still can’t swim.) Then there was the Jeep Jamboree on the Rubicon Trail of the Sierra Nevada Mountains above Lake Tahoe. Two other writers and I (part of the group of dozens of off-road enthusiasts) took turns driving a stick-shift, doors-off, roof-off, four-wheel-drive Jeep Wrangler up and over boulders as big as my living room. I now live in the Gulf Coast city of Mobile, Alabama. With an average rainfall of 66 inches, Mobile is the rainiest city in the United States; and of course, we have Mobile’s month-long Mardi Gras celebrations. They are certainly more modest than the parades in New Orleans, but Mobile claims to be the birthplace of the first Mardi Gras parade in the United States. The music of words. I enjoy the rhythm and syntax of words, putting together a beautiful sentence. Not just using beautiful or poetic words, but finding words that make sense and do dual duty. Or to paraphrase Mark Twain, the difference between the right word and the almost right word is like the difference between lightning and the lightning bug. Short stories and haiku are especially that way. Each word is so important to the final product. It’s something I continually work to perfect (and probably never will). I guess my youngest son might fit that description. He keeps asking “what if,” sending me to spend hours, days, and months in research to find an answer. I’m Scandinavian, so if she were still acting, I’d say Maud Adams of James Bond fame, or maybe Helena Mattsson (my great-grandfather was a Mattsson). I’m currently working on a detective story (strong female protag, of course) that I hope to turn into a series, and am mulling over a YA fantasy. I think of a bucket list as something vaguely do-able, so I’ve recently crossed off hiking the Milford Sound in New Zealand. Since my personal motto is “If I’m (hopefully) going to get a few years older, I might as well get a few years smarter,” somewhere near the bottom of my bucket list is the desire to work toward another college degree. Would that be Doctor petterson or Doctor Johnston? Hmmm. Either one has a nice ring to it, I think. White noise . . . a fan blowing. It has to be the Scottish hymn “Amazing Grace” . . . Puts me in tears every time. 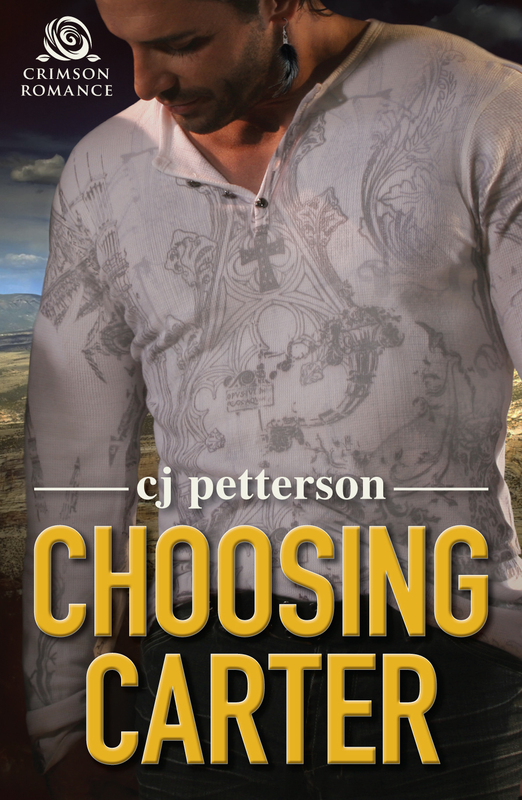 “cj petterson” is the pen name of Marilyn A. Johnston, the author of the newly released, contemporary romantic suspense novel, Choosing Carter. Marilyn loves to stretch her alter-ego writing skills and is published in multiple genres. Her short fiction and non-fiction stories have appeared in several anthologies. 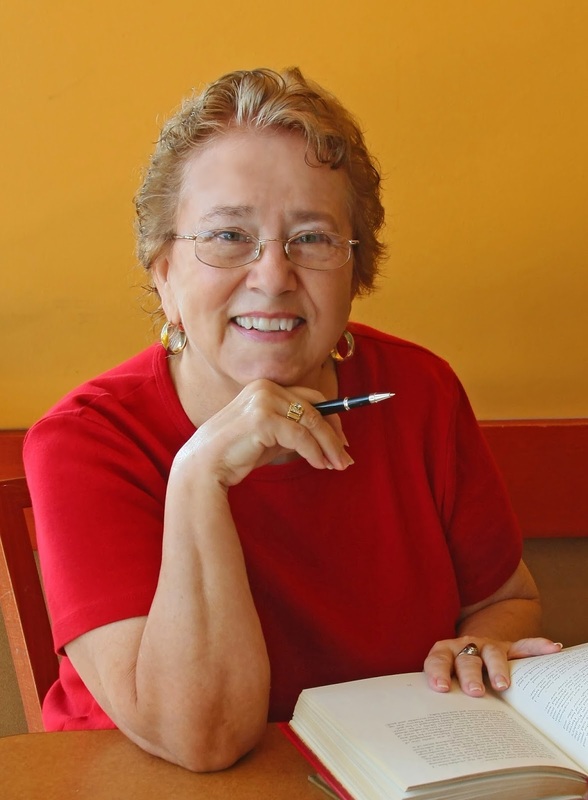 Marilyn has served as a judge for Romance Writers of America’s Daphne du Maurer contest. She is a member of Sisters-in-Crime, Guppies (SinC’s on-line “Great Unpublished” chapter), the Alabama Writers Conclave, and a charter member of the Mobile Writers Guild. Her novel, Choosing Carter, is available at B&N and on Amazon. For more information about author cj petterson, visit her Facebook page, her blog and on Amazon Author Central. 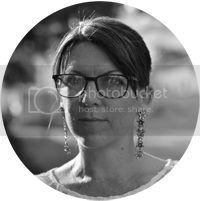 Thanks, Suzy, for the hosting this author's interview. You asked some great questions! Great Q&A. I really enjoyed learning more about you, cj/Marilyn. And you can't go wrong with Maud Adams. Much continued success! I loved this interview, CJ. Your willingness to constantly challenge yourself is what will keep you forever young. I wish you all the very best with Choosing Carter and your next great adventure.